Twice a year, the ‘Sella Ronda Bike Day’ – a combination of four passes in a 55 kilometer loop around the Sella group – is open for bicyclists only. 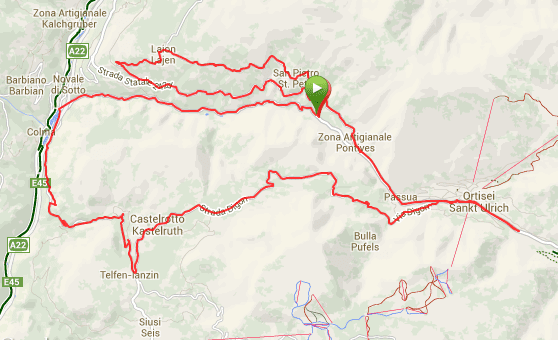 Between 8:30 and 15:30 the roads are closed to motor vehicles and thousands of cyclists go out for their ‘Sella Ronda’. Today our self declared cycling hero was out for some serious climbing. It was not that easy to find a route that would not require (more than one) transfer by car, but he found one. Toerbeest and Cyclopaat are leaving for Italy later today for their own version of the Giro d’Italia 2011. For first time (foreign) visitors: the latter is Robert, the former is Paula, who will support C. during his bicycling trips. She will follow him by car, take pictures, shoot movies and provide him with supplies (varying form food to dry clothes). 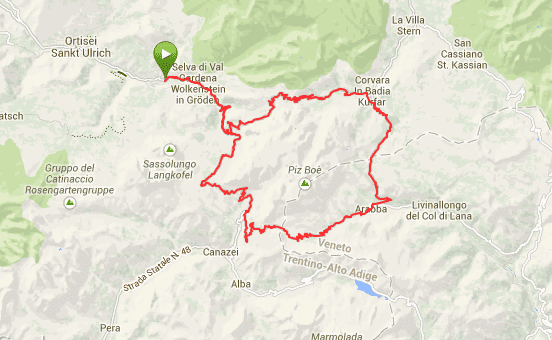 Anyway, first stop will be the Albergo Bräuhaus in San Pietro (Lajen, Bolzano) – from there, C. will conquer some high altitude passes and on Sunday he will enjoy a (car and motor bike free) Sella Ronda Bike Day with 4 mountain passes. On their way to Mestre for the Open European Mahjong Championship (OEMC 2011, July 7 ~ 10), they will stop in Ovaro so C. can climb the fearsome Monte Zoncolan. After the OEMC, they will head back to Nothern Italy, to the Alpen Hotel Chalet in Valdidentro. On their way there, they will stop in Mazzo di Valtellina, so C. can climb the Mortirolo. 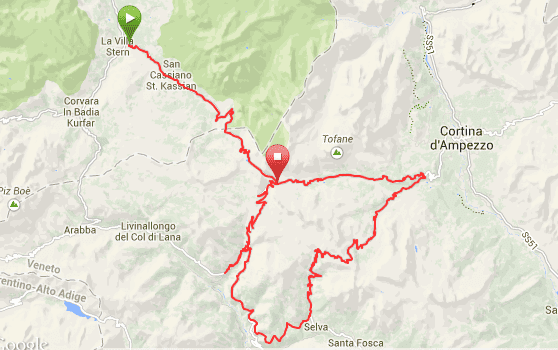 Other passes on the menu are the Gavia, Stelvio and Umbrail.